These factsheets are provided in PDF format so that they can easily be printed out or saved to your computer. The first seven BUS factsheets have all been checked by medical professionals. The patient information factsheets 1-8 are linked to Patient UK website. What is a DEXA (DXA) scan? Below are links to leaflets which have been produced by Moorfields Eye Hospital which you may find helpful. Below are links to posters designed by Moorfields Eye Hospital staff. We are very grateful to the staff for preparing these specially for the first Birdshot Day. The posters on medicines summarise some of the side-effects and drug or food interactions for each medicine. The poster on ERG testing gives more information about the tests and explains what is involved, using diagrams and photographs. We would be pleased if you can help us publicise the Birdshot Uveitis Society for us. Please contact BUS if you would like copies of any of our publicity material. If you would like to print your own copies, please click on the links below. This helps save valuable resources and reduces BUS costs on postage and printing. 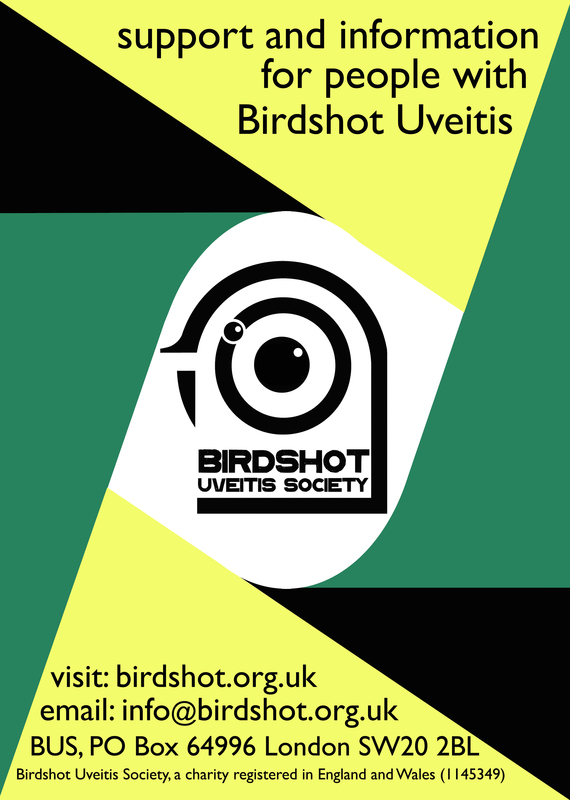 General leaflet as a pdf file about the Birdshot Uveitis Society – in black and white, suitable to be printed on a computer printer. General leaflet as a pdf file about the BUS leaflet 2018 – in black and white, suitable to be printed on a computer printer. Publicity poster for display in eye clinics, hospitals, opticians, doctors surgeries etc. These are best printed in colour. Corporate fundraising brochure briefly explaining the Birdshot Uveitis Society’s objectives and work. Please contact us if you would like to receive copies to assist with promotion and fundraising for us. They are a pocket sized 4 fold leaflet. Also available as a PDF file.